One American West Mural: approx. size: w48"x h37"
Let the great outdoors in. Imagine being in this breathtaking scenery. 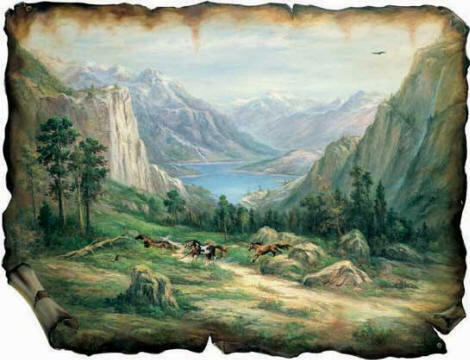 The artist has captured the beauty of the American west in this spectacular landscape. Lending to the mural's rustic charm is the trompe l'oeil (deceive the eye) burnt, curled and torn edges. 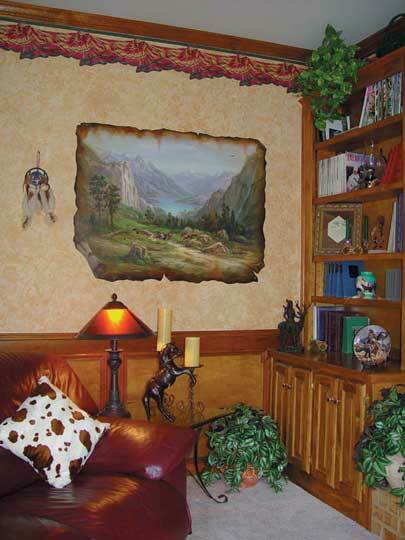 This mural is perfect for those who appreciate the untamed beauty of the rugged western frontier.